If you had to choose between having your daily coffee or up to NZ$100,000 cash – what would it be? 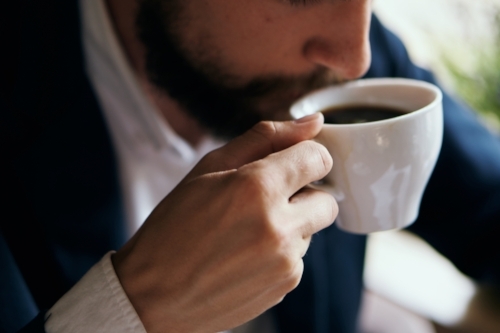 We all know too well how addictive that daily coffee fix is (especially on a Monday morning). But take a minute to sit down and think about how much you’re really spending on flat whites each week. It doesn’t seem much, just spending $5 on a takeout coffee a day, but cutting out that little luxury could look attractive in your bank account in years to come. It could pay for the trip of a lifetime or let you take a year off work! The opportunities are endless. We tend to forget that $5 a day quickly becomes $35 a week if you buy a takeout coffee every day. That can add up to $1825 a year. That’s a trip to a tropical island for two. Or, you could deposit that year’s money at 3 per cent interest, and keep adding your coffee money every day. After five years, your coffee money might have grown to more than $12,000. You could go to Europe with that. That’s because the interest you earn on your coffee money is added in, and you earn interest on that too. And inflation is probably going to make your coffee more expensive every year, so the money you put in will be growing by that amount, let’s say 2 per cent a year. Instead of spending all that coffee money, you could keep adding in the cost of a coffee a day and after 10 years you could have $25,000. That’s enough to buy a new car. Or, you could keep adding in your coffee money and after 20 years, you could have $62,000. That’s a year off work. But you could do even better. Invest that money instead with a top-performing investment firm and you may get even better returns, depending on the market conditions. Of course, we can’t predict the future returns, but some of the top performers in the market have well exceeded 8 per cent p.a. Using this figure, if that continued, you’d be looking at $33,000 at 10 years, or $109,000 at 20 years. Of course, you’ll be taking on some risk to get that return and your investment could go down as well as up. However, the principle of investing is for money to generally grow over time. When you realise how much extra money you could have sitting in your bank account, you’ve really got to ask yourself: is that daily coffee worth really it? Make your money work for you, not the other way around! Join the conversation over on our Facebook page to see what other people have to say! Question time: what's your freedom figure? What are the hidden costs of retirement?